The dental X-ray has always been key to every dentist because it helps in the diagnostic process. A dentist is able to see much more of the tooth and under the gums through dental radiography. A visual examination of the teeth is something that dentists do, but it is the X-rays that give the best indication of healthy or diseased teeth. Today, radiography is much more sensitive and advanced than it was several years ago. This improvement in imaging helps to diagnose problems with the teeth much earlier and many teeth can be saved through early intervention. 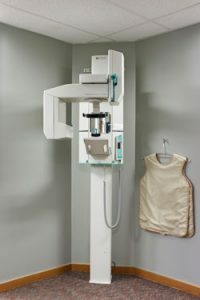 Since X-rays do produce a small amount of radiation, the patient should inform the dentist if she is pregnant or if there is a history of thyroid disease. Special lead collars or lead aprons can be used to protect the thyroid and the unborn child during the X-rays. If you are looking for a dentist in Hilliard and Upper Arlington, Ohio or want to learn more about dental x-ray, contact Dr. Dana Walters.